Switching houses? Then now is the perfect time to finally go through all the clutter and make some tough decisions about what needs to move and what needs to go away. Before starting the move, grab some garbage bags and do a sweep of the house, making sure to toss out anything that needs to go to the dump. This will clear up the home of anything unnecessary and makes it easier to throw out some items when there's no decision making pressure. 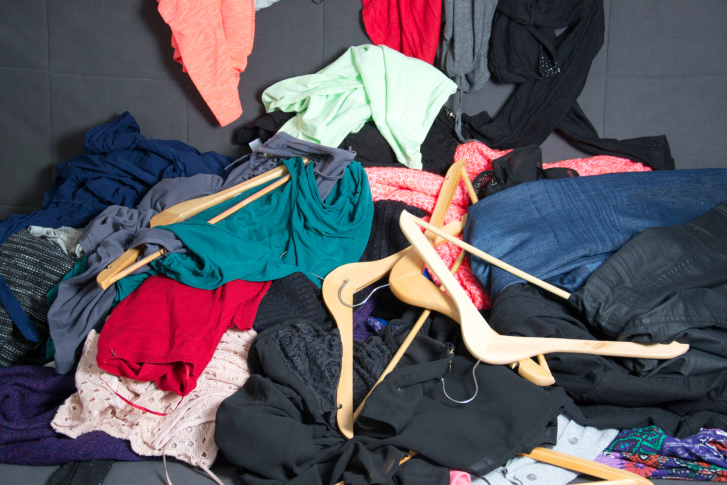 Clothes are not looked at as seriously as other objects when clearing space because they can easily fold down or be tucked away. It's simpler for most people to just throw all their clothes in a box or travel bag before moving, but this is the perfect time to finally go through and donate anything that doesn't fit or is never worn. It is hard for kids to part with their toys, even ones they haven't used in years. These are part of their identity and telling them what they need to throw out can impact them emotionally and make a move that much harder. Sit down with the children and have a long talk about moving and donating items to see if they are ready to go through their things. And last but not least, and thanks to my brother's recent move, don't forget to check all your storage spaces including attics or crawl spaces. I can't tell you how many times I've seen things left in those spaces. Thinking about buying a new home? The service of a real estate professional can go a long way in finding you the home of your dreams in the budget you are looking for. Give us a call, we'd be honored to be your real estate professional.